Eating - We have bumped up her food to 6oz every 3 hours and she still acts like we don't feed her! At night we always give her an extra ounce to help get her through the night. She is still spitting up a lot, but that is to be expected with her reflux and underdeveloped larynx. 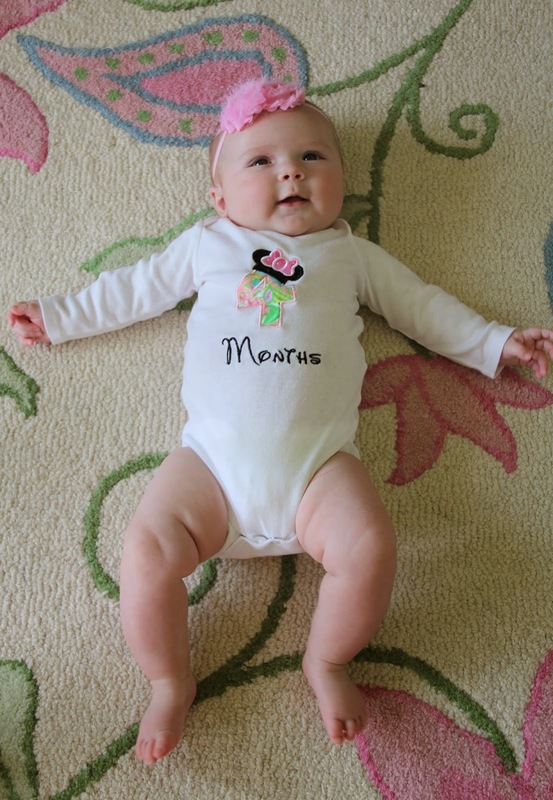 She will eventually grow out of all that stuff, but in the mean time we will just have burp clothes handy! Sleeping - She is officially in her crib at night and will sleep from about 11-6 which is very nice. However, the last few weeks have been different because she has been congested with allergies and has been waking up in the middle of the night, so it's been easier to keep her in the rock-n-play since it keeps her upright. I feel like all she does is sleep since by the time I get home she is only up for a few hours before she is down for the night. We let her take an evening nap on the couch while we are still up and then we transfer her to her crib after one last feeding. 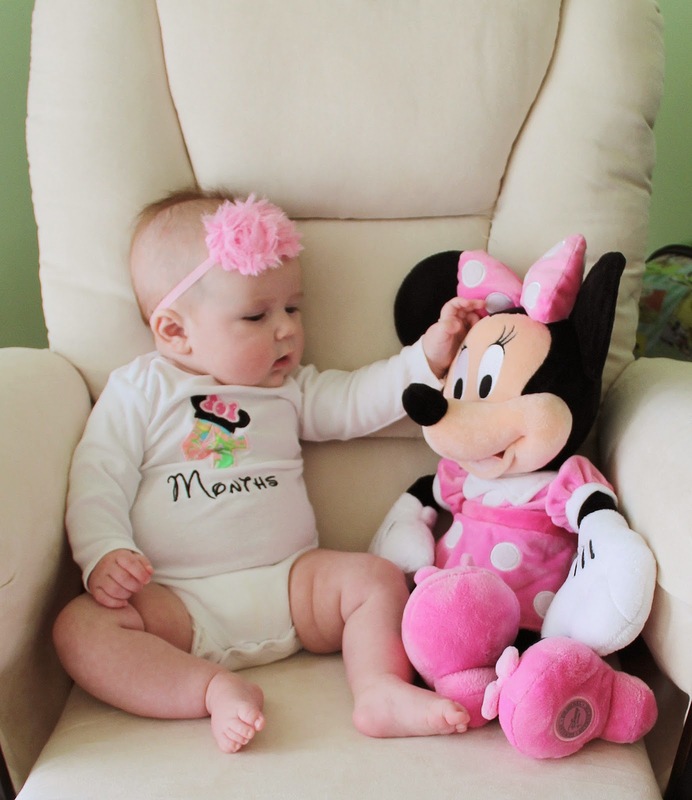 I think she is finally accepting Minnie as a friend, but I still can't resist capturing her fascination with this life size mouse! Overall, Charlotte has such a sweet disposition. We have been so lucky and blessed with a laid back baby. If she's crying, there is a reason; she is either hungry or tired. Other than that, she is happy. Anytime we walk into the room or she spots one of us, her whole face lights up. She is already a Daddy's girl and I'm totally ok with it. 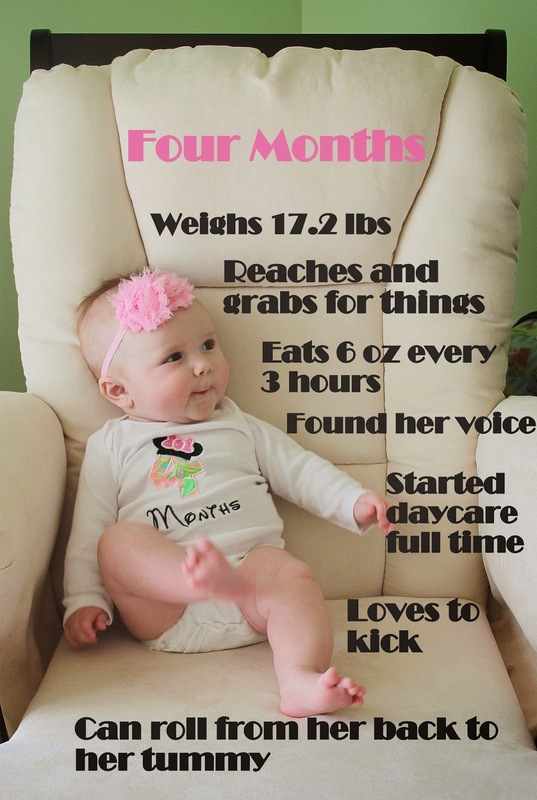 Last months comparison: She is starting to look less like an infant and more like a baby! 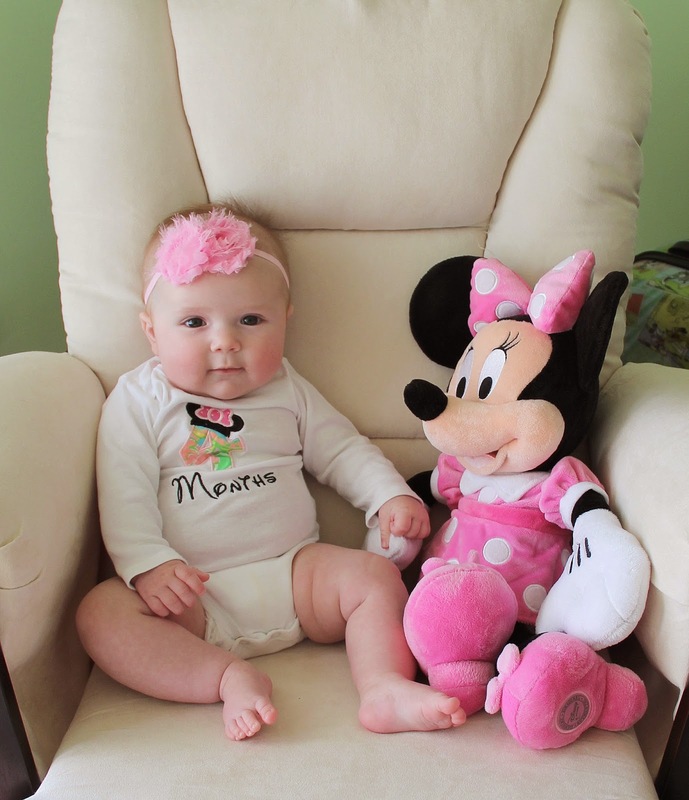 And of course, the last 4 months of her discovering her Minnie Mouse. Is she on any meds for the reflux? She's such a cutie!